Good morning my gorgeous friends! So it's been chilly here in London, as one would expect for a couple of days after Christmas, and I have had my Christmas/NYE party thinking cap on as I have a few coming up. I know this is a little late but this is how I function, so too bad. 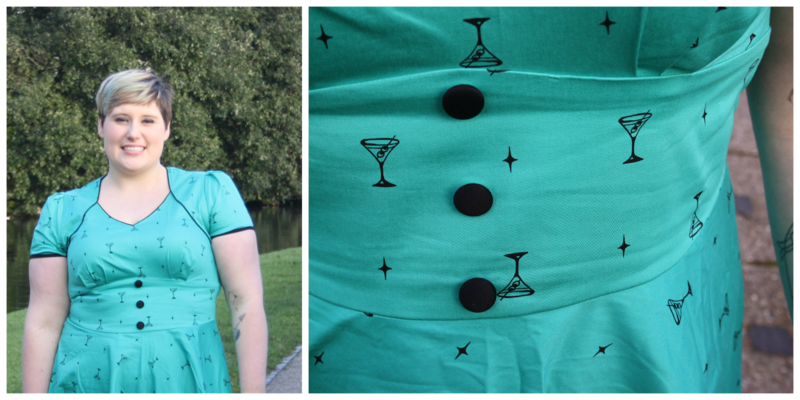 I won this adorable martini print Marita dress, along with a cardi a month or so back from Vintage Life magazine and I have just now had a chance to get it out, creases and all to show you. 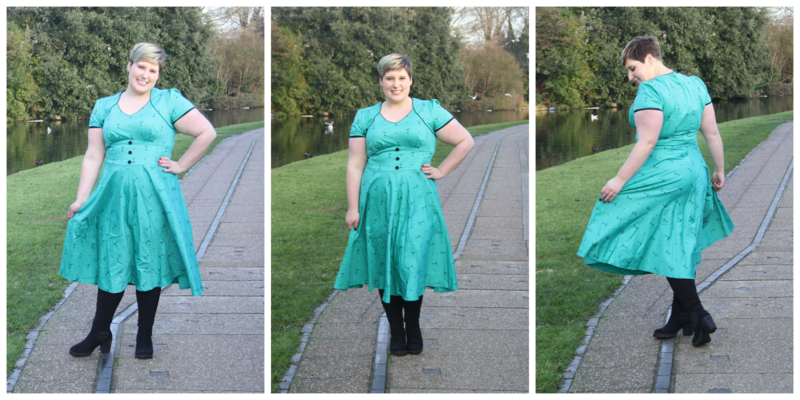 For those of you who weren't aware, Voodoo Vixen do pinup style dresses and cardigans and have only recently launched a plus size with some gorgeous bits. You can find them on Simply Be too! I am wearing a 3X and the size fits well in the body, has a bit of stretch and I would say is equivalent to a 20. My only issue is the arms not fitting well on me. I can't quite tell if it's just the cut as there is plenty of arm hole fabric but it's more the finish at the end that is restricting, so take this into consideration when you buy. I love the colour and cut and have opted to wear it with thick tights and boots in these pics. I think it works for everyday and for something more fancy, I will wear it with light tights and heels. Have you tried Voodoo Vixen yet?